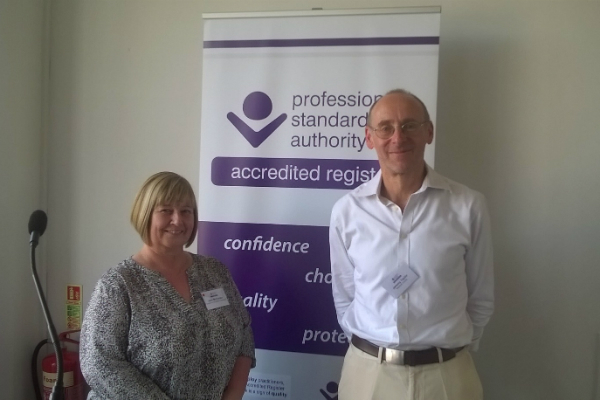 The FHT was pleased to attend an Accredited Registers Round Table event on Wednesday, 1 July, organised by the Professional Standards Authority. It was an excellent opportunity for the FHT to discuss with healthcare professionals and commissioners how the Accredited Registers workforce – including more than 10,000 therapists on the FHT’s Complementary Healthcare Therapist Register – could help achieve person centred care. Delegates enjoyed keynote speeches from Jeremy Taylor, Chief Executive of National Voices, who focused on what makes ‘good care’ and the need to redefine integrated care, and Harry Cayton and Christine Braithwaite from the Professional Standards Authority, who looked at how the 63,000 thousand practitioners listed on Accredited Registers could help to relieve some of the pressure currently shouldered by the existing health and care workforce. 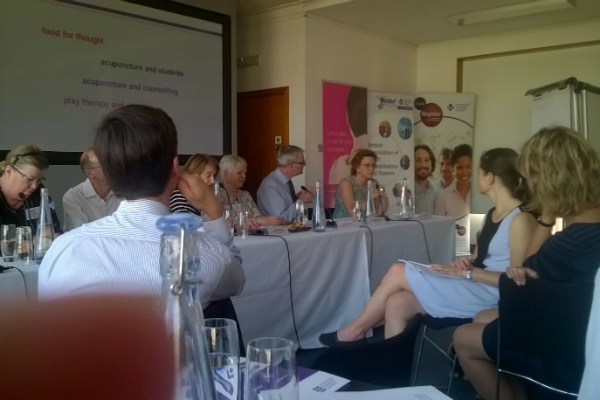 A panel – with representatives from the Royal College of General Practitioners, NHS Employers, UK Homecare Association, Local Government Association, National Voices and the Association of Directors of Adult Social Services – were then invited to discuss some of the barriers to greater involvement and how these might be overcome. Finally, round table discussions enabled delegates to explore how practitioners on Accredited Registers could reduce demand on existing services; identify opportunities; and suggest ways to overcome any potential obstacles. Julie McFadden, FHT’s Registrar and Compliance Manager, said: ‘This event was a great opportunity for the FHT to meet in person those who are in a position to help refer or signpost patients to our Registrants, and to discuss how we can progress towards an integrated approach to health and care. We look forward to maintaining contact and working with many of the people we met on the day’. Posted on 6 July, 2015 by Federation of Holistic Therapists (FHT). This entry was posted in news and tagged news. Bookmark the permalink. This is a wonderful article, I’m so pleased to read about co-operation and progression in this sector.